It may still be daytime where you are, but Santa Claus has already started his annual worldwide trek, delivering toys to good girls and boys all around the globe. At this writing, the Jolly Old Elf was on his way through Northern Russia, Asia, Australia, and New Zealand. Want to keep tabs on the man in red's whereabouts? Here’s a breakdown of everywhere you can follow Kris Kringle’s magical journey this year. Microsoft made waves in 2012 after it replaced Google as the official maps provider for the North American Aerospace Defense Command’s (NORAD) Santa tracker. NORAD has been the unofficial official Santa tracking outfit since 1955. It all started due to an advertisement misprint that prompted children to call the hotline of the NORAD chief operations officer instead of a Sears-sponsored Santa. In the spirit of the season so many years ago, NORAD kept children updated on Santa’s progress across the world and a Christmas tradition was born. You can find NORAD’s Santa tracker at NoradSanta.org, where you can watch Santa traverse the globe on a Bing-powered 3D Map. There are also a few games to check out on the site. For Windows 8 and 8.1 users there’s also a Norad Tracks Santa app in the Windows Store, as well as a smartphone app for Windows Phone. Google may have lost its partnership with North America’s traditional Santa watchers, but the search giant still pulls out all the stops when it comes time to track Santa. You can follow along with Santa on Google.com/SantaTracker (pictured at top) to check out his journey, find out the time and weather of his current location, and even peruse previous stops on his worldwide trip. 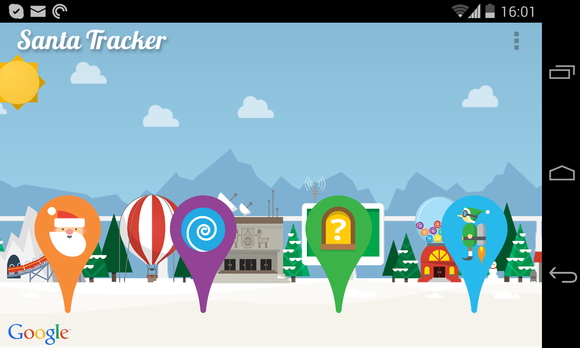 Google’s site also has a digital advent calendar. Even though the countdown to Christmas is pretty much over, you can still check out Google’s Santa-themed games, animations, and activities on the calendar. We’ve seen some of these games in previous years—here's looking at you, Jet Pack—but there are some new games such as Santa Dive. As in previous years, you can also send a call from Santa to anyone in North America. Even adults love getting these surprise calls! As usual, you can also get updates from Google’s Santa tracker app on Android, as well as play a few games from the Santa tracker website. This year, Google has added cast functionality to the app, so if you have a Chromecast, you can track gather the family around the big screen to track Santa’s progress together. Chrome users can also add the Santa Tracker extension to their browsers. Just tap the extension and you’ll get a quick update on Santa’s location. Finally, Google is also watching Santa on Google Earth if you want to follow along in 3D. 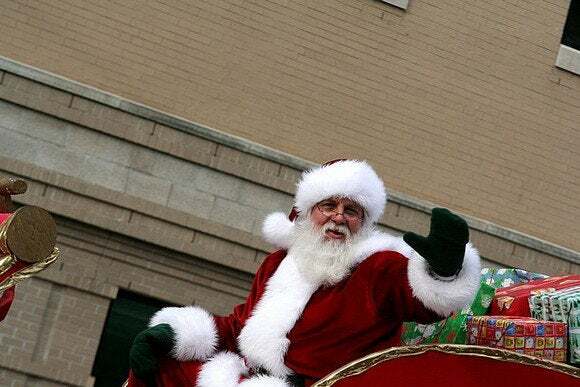 If you’re on Twitter you can follow @noradsanta or @GoogleMaps for updates. NORAD also has a Santa page on Facebook, and Google’s Santa Tracker is delivering updates to Google Maps’ Google+ page. 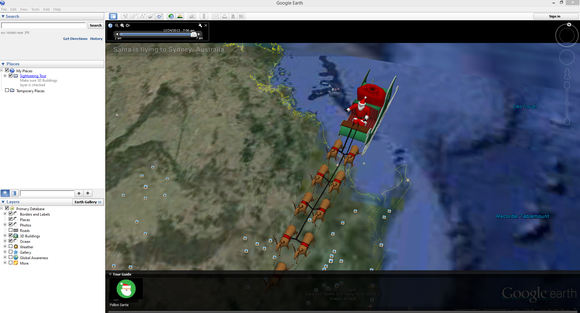 Whichever way you want to track Santa, Google and Microsoft have got you covered. But as we noted last year, Microsoft Santa and Google Santa aren't flying on the exact same itinerary. Any parents with particularly observant children may want to pick one Santa ecosystem and stick with it.